Our Change is Making a Difference and Yours Can Too. A year or so ago I began looking for simple ways to spread awareness and support EDS research without overwhelming myself or my family. Simple ways that almost anyone could accomplish. I am happy to say I came up with an entire list. 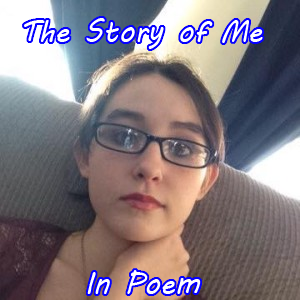 Ideas I am going to begin sharing once a week here at The Zippy Zebra. I hope to share them over the next few weeks so that when EDS Awareness month arrives we are taking it by force in EVERY community. I also joined a group of ladies that are working hard to bring it all together on a specific website. Change For EDS. Our family chose to begin simple. 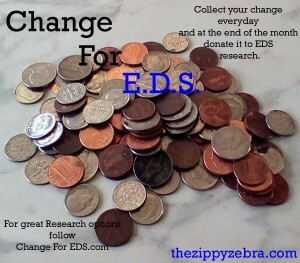 We started by saving our change for EDS. Yep, just leftover everyday change. 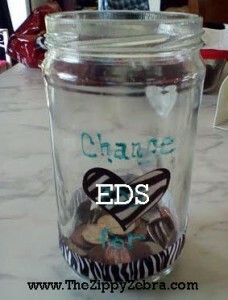 We took an empty gravy jar, added some bling and set it aside to be filled with change to fund EDS research. This month we were able to save $5.45 and didn’t even miss it from our budget. We simply took any change we still had in our wallets, bags or purses at the end of each day and placed it in the jar (except quarters, we wash the car with those). At the end of January I took it to the bank and had it deposited in our account so I could write a check to this month’s research choice. EDNF. We alternate the receiving organization each month in order to contribute to all areas. 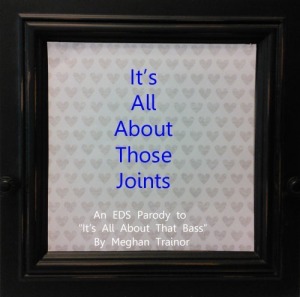 For a list of additional EDS research and support groups check out our Change For EDS posts here. I realize that $5.45 may not seem like much but if 1,00 people give an average of $5.00 a month for research it would equal $5,000 a month or $60,000 a year. Can you imagine what they could do with $60,000? We are going to begin asking our family and friends to save their change and add it our monthly donation. 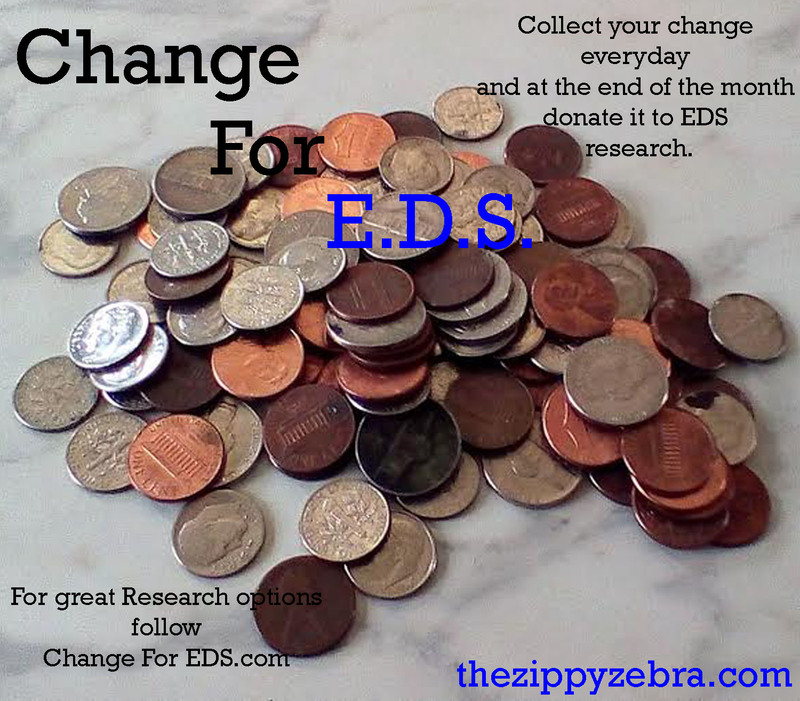 Will you take the pledge to make a change for EDS? Do have you an event, idea, radio program, article or blog that will help spread awareness? Please feel free to share information and any links to it below. 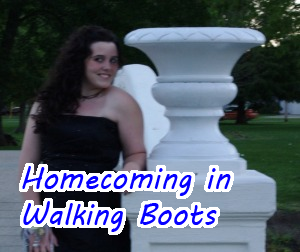 You can also link it up at our weekly link up here. Make sure you don’t miss a post by signing up for emails, following us on Facebook, Twitter and Pinterest.